I caught my first glimpse of the flower all lawn care fanatics find most irritating along the side of the bike path a few weeks ago. At a time of the year where nothing else is in bloom along the path I thought it looked beautiful. As I biked along the path I couldn’t help but think about how the dandelion is much like those things or even people that we find irritating. Admit it we all have people who rub us the wrong way no matter how hard we try to get along with them. We try our best to avoid them, knowing they are only going to bring out the worst in us; yet truth is they pop up where we least want them to. 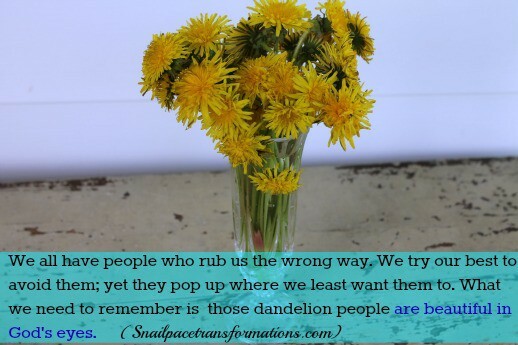 What we need to remember is those dandelion people are beautiful in God’s eyes. 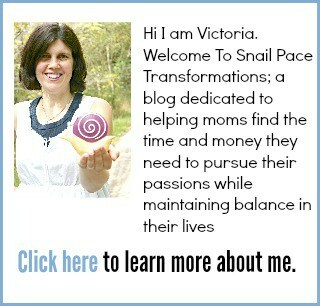 Those dandelion people have a purpose. 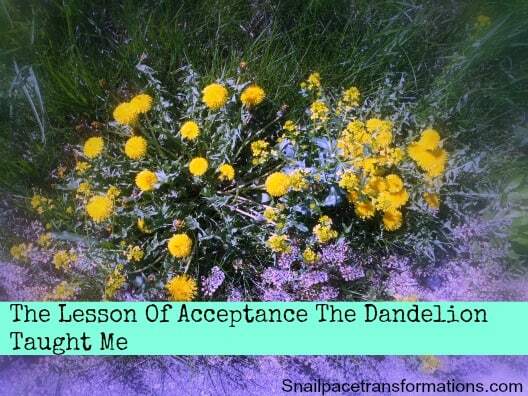 Just as dandelions are full of nutrients and have detoxifying properties that we would all benefit from far more than accidentally ingesting the chemicals we use to rid them from our lawns, our dandelion people can do pretty amazing things too despite the toxic emotions they bring out in us. Dandelions and dandelion people can be fun: if we would just approach them with a tender child like heart. A child heart that finds wonder in picking bouquets of the little yellow flower. 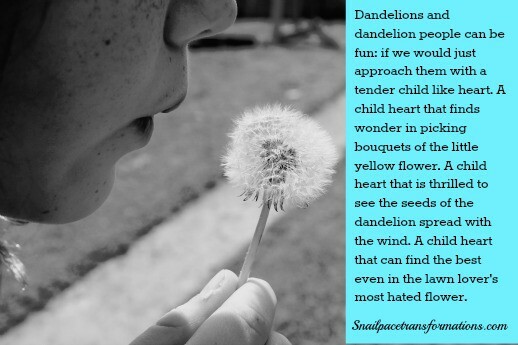 A child heart that is thrilled to see the seeds of the dandelion spread with the wind. A child heart that can find the best even in the lawn lover’s most hated flower. Today take a moment to thank God for your dandelion people, ask Him to see them with His eyes of love for all those He created, ask Him to see your dandelion people with a child heart, and while your at it if your a lawn fanatic ask Him for patience with the little yellow flowers invading your green empire.